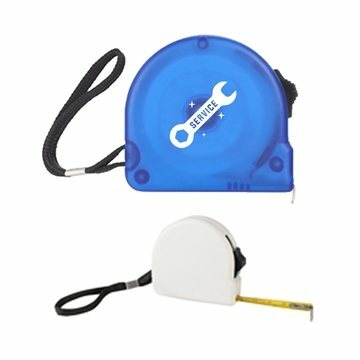 Material: Plastic case with metal tape measure. Easy to order and turned out perfectly! I am so excited about my custom tape measures! Will definitely be returning to this site for any promotional giveaways I may need in the future! Very nice product. It was exactly what I was hoping for. The print job looks good too. Deep and bright color. I really like all. A good give-away that is attractive and inexpensive.